Duncan Grove FRPS Photography Blog » Squash. Duncan commissioned for a studio shoot of top international squash pro Alister Walker. Duncan’s work featured on the front cover and in the key-note article of this month’s Royal Photographic Society’s Journal. Seven of Duncan’s ROWE British Grand Prix squash images published by International Squash Magazine, including a double-page-spread. Duncan’s ROWE British Squash Grand Prix images now available to view and download. The World’s Top Eight Squash Players to compete in Manchester’s ROWE British Grand Prix 2011. Three of Duncan’s images published in International Squash Magazine. Duncan shoots the six-day ROWE British Squash Grand Prix as Official Photographer. Duncan Appointed Official Photographer for the ROWE British Squash Grand Prix 2010. Galleries of images from every day of the Wimbledon Tennis Championships 2017 now online! The Times publishes Duncan’s Boat Race image. Les Voiles de Saint Tropez sailing regatta images 2016 now online! Galleries of images from every day of the Wimbledon Tennis Championships 2016 now online! Duncan captures from his office window Andy Murray practicing with his coach. Nikon publish an article about Duncan shooting The Boat Race using his two new D5 bodies. Oxford vs Cambridge Universities Boat Race 2016 images now online! Les Voiles de Saint Tropez sailing regatta images 2015 now online! Great River Race 2015 images now online! A Fellow of The Royal Photographic Society, Duncan Grove FRPS operates out of offices based on Wimbledon Common, SW London and is a passionate professional photographer. •	Accredited photographer at The Wimbledon Tennis Championships (2010 -2014) shooting on behalf of International Tennis Magazine, the UK's highest circulation specialist tennis magazine and other photo agencies. His work is extensively published world-wide. For three months during Wimbledon 2014 and beyond it was the subject of a solus exhibition at the Cannizaro House Hotel, London’s only 5* Country House Hotel. This proved to be a both critical and commercial success with players such as Andy Murray and Jo-Wilfried Tsonga visiting and signing prints. (Net proceeds were donated to an AELTC-nominated charity). •	Official Photographer at the six-day ROWE British Squash Grand Prix held at The National Squash Centre Manchester - the largest squash tournament in held in Europe 2010 & 2011. Duncan was also responsible for creating and maintaining the event’s official image micro-site. •	Lead photographer for Professional Jeweller Magazine’s “Hot 100” party held at the prestigious Kensington Roof Gardens venue. Duncan was responsible for providing a team of photographers and for managing a web site of captioned images of the event. Duncan was commissioned again for a similar event at the stunning art-deco Freemasons' Hall in 2012. •	Duncan is also a preferred photographer for high-end global real estate agents Fine and Country. His last commission from them was for a Palladian mansion being marketed for >£10 million. A Fellow of The Royal Photographic Society, Duncan's images are regularly selected by a number of prestigious international photographic salons including:- The Royal Photographic Society's International Print Exhibition; The Edinburgh Photographic Society's Print Exhibition; Photographic Alliance of Great Britain Exhibition; Trierenberg Super Circuit, and Al-Thani amongst others. His images have been used as book covers and to illustrate magazine articles and web sites. 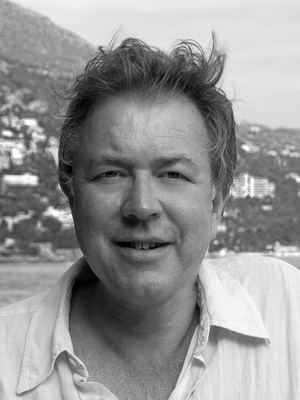 Duncan is also a regular contributing journalist to major UK photography magazines.